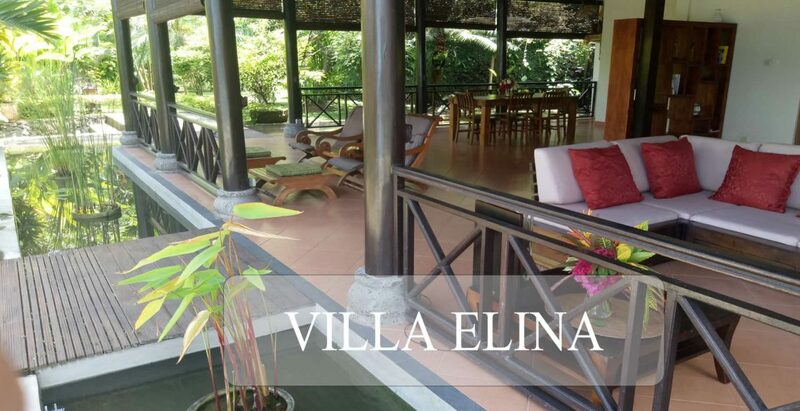 If you are looking for a beautiful North Bali villa then holiday villa Elina is the perfect choice for you. 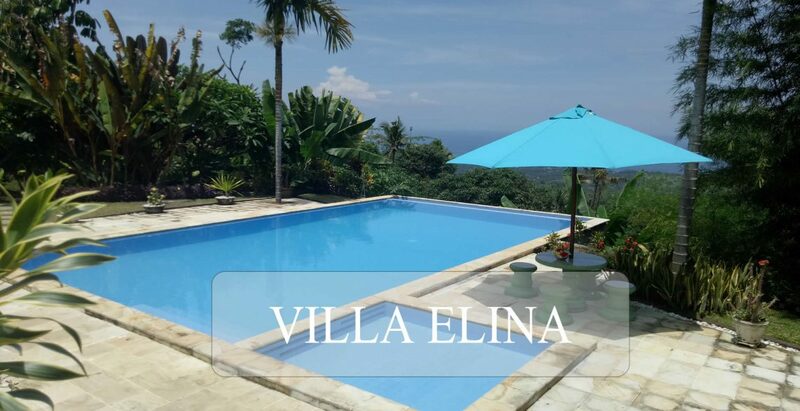 This north Bali villa is located in the hills of Lovina in North Bali. 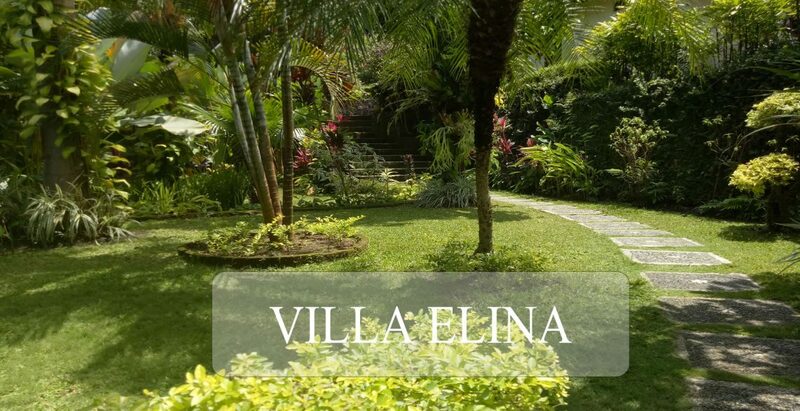 Villa Elina offers the perfect combination between authentic Balinese style and western comfort. 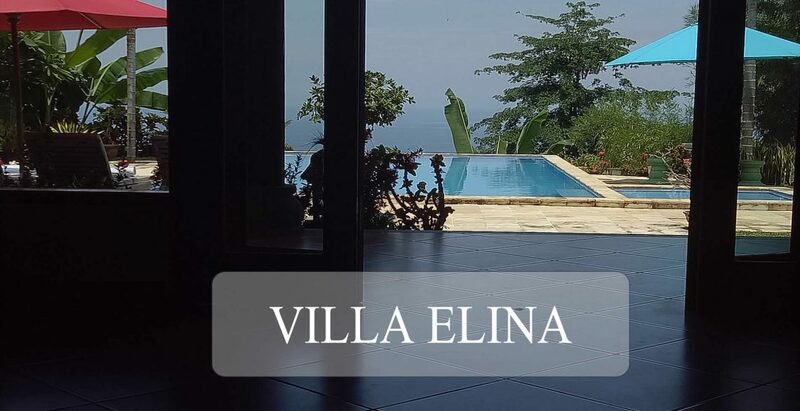 With its beautiful infinity pool, its tropical garden and stunning panoramic views to the Bali Sea, Villa Elina is the ideal spot for a holiday for two, with friends or family. 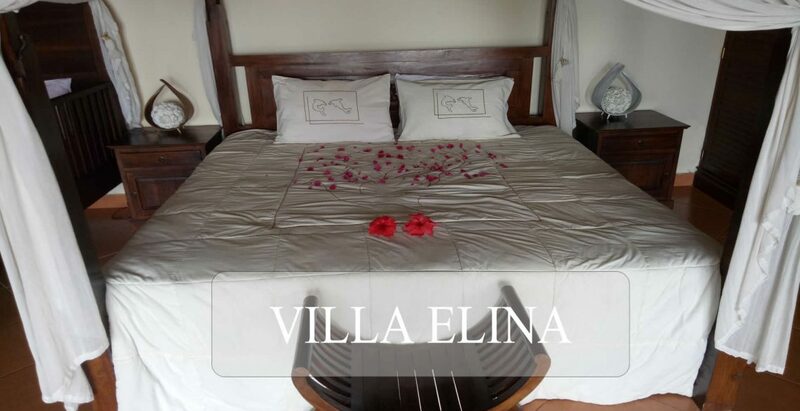 The villa can accommodate up to 4 people, plus one extra bed for a infant. This holiday home is situated at the side of a hill overlooking a lush tropical garden with its terraces, the sea and the beautiful sunsets. The unique views to the Bali Sea and the volcanoes of Java make the villa an ideal base to discover the traditional culture, architecture, the still unspoiled nature and tropical nature of Bali. The living of this north Bali villa is an open space which is also used as a cozy dining with a colorful lounge corner and comfortable chairs. All in a Zen atmosphere in which you can indulge in relaxing. 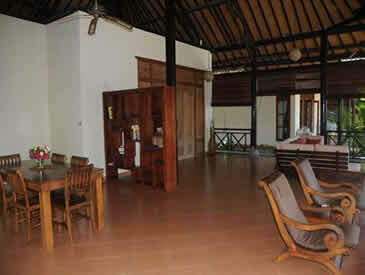 The villa has 2 spacious bedrooms with king size beds, baldakijn, mosquito nets and air conditioning. Each bedroom has its own bathroom with shower and toilet. In the fully equipped kitchen you can cook delicious meals. Of course your meals can also be cooked by one of our staff members, Putuh, who is an experienced and talented cook. © 2019 villaelina-bali.com, all rights reserved.